Ripple Scarf – Pattern release! The yarn is Drops Merino Extra Fine which has such a lovely, soft feel and drape. It’s easy to work with and is close becoming one of my favourite yarns. Not only does it feel deliciously good but it doesn’t cost the earth either! I picked a fairly muted colour palette but I couldn’t resist a sploosh of hot pink in there to brighten it up. The colourway has an urban feel which inspired the design name – Subway Scarf. 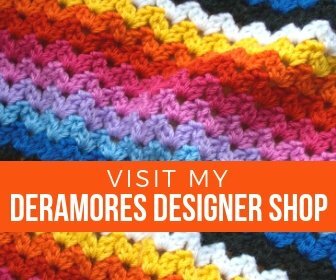 The pattern is a simple, and quick to crochet, ripple stitch with a colour change halfway across which creates the blocks of colour. The colour change seems alarming at first but its not at all difficult and the pattern has step-by-step photos to show how its done. I think this design would work really nicely in cotton or bamboo yarns and summery colours (which is on my never-ending To Do List!). And I’m just itching to make another in the Drops yarn! 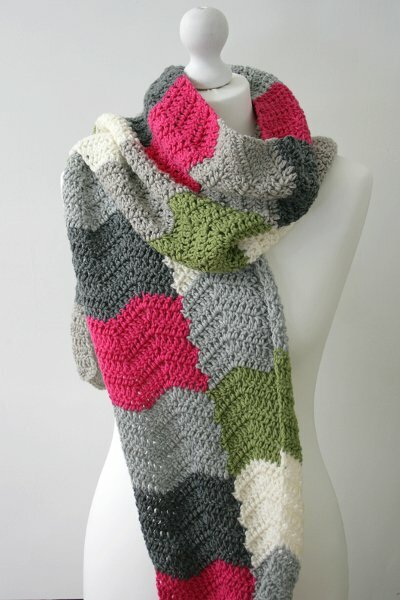 I wanna make a ripple scarf! If you’d like to crochet your own ripple scarf you can follow the links below to purchase the pattern. 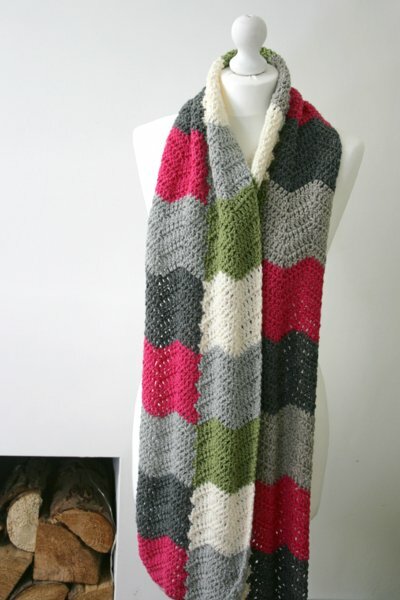 The pattern is called Subway Scarf and is also in my Craftsy shop. 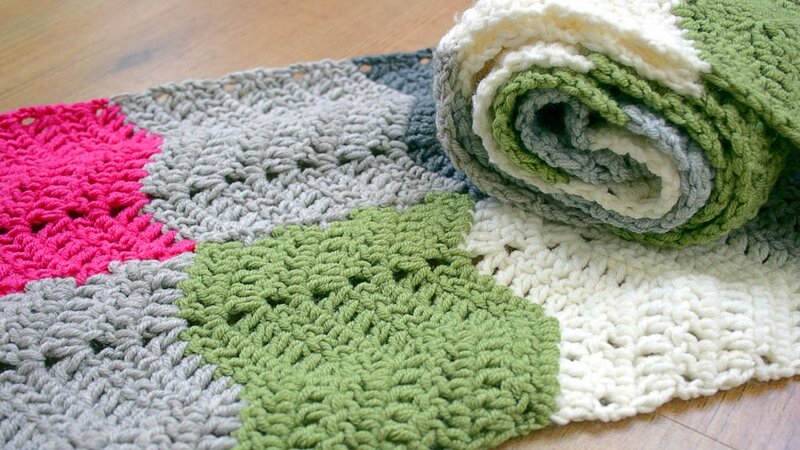 If you make a ripple scarf don’t forget to share your projects on Ravelry. Or, post your pics on Instagram and tag me – I’m @woolnhook. I hope you enjoy the pattern and hope to see your ripple scarf projects soon.